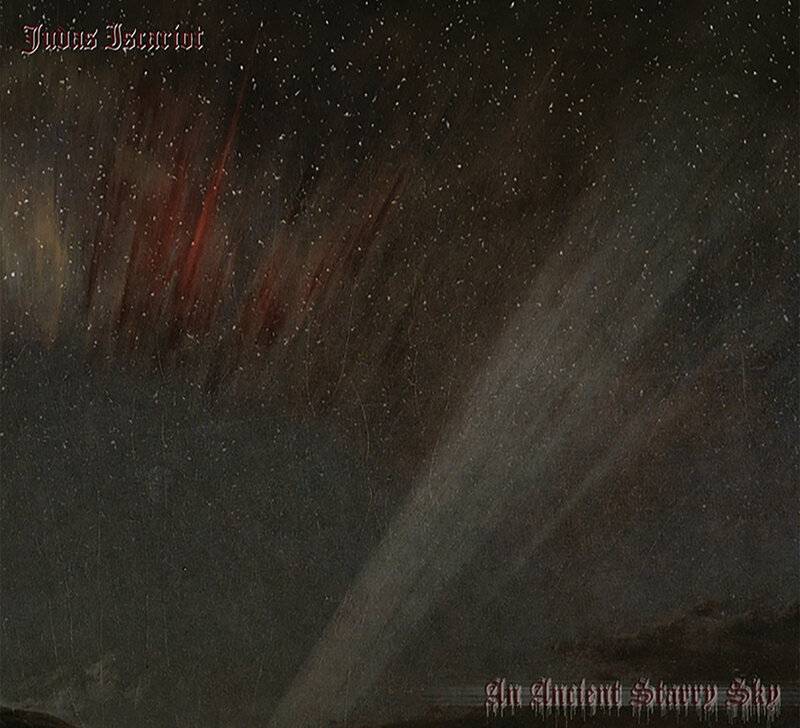 So, here we are, at long last the shelved JUDAS ISCARIOT album “An Ancient Starry Sky” sees proper release, 20 years after it was recorded. Some might be disappointed to learn these songs have been released previously on the “None Shall Escape the Wrath” split with KRIEG, ETERNAL MAJESTY and MACABRE OMEN, the “Under the Black Sun” live album, and the “March of the Apocalypse” EP. So there may not be much that’s technically new here, but on the other hand the aforementioned releases are over a decade and a half old, limited, and hard to come by, so it’s nice to see these tracks put together and released. “An Ancient Starry Sky,” as a whole, is a mixed bag of JUDAS ISCARIOT goodies. Half of the album is material that was purportedly written for a 1993 demo, and you can tell; they’re very different from what JUDAS ISCARIOT was putting out in the late nineties (“Heaven in Flames,” etc.). ‘In den Qualen der Hölle’ is a short cut infused with a considerable dose of thrash, while we’re also given a much more competent version of ‘The Cold Earth Slept Below,’ appearing here as simply ‘The Cold Earth,’ with its awkward melody flowing far more naturally than on its incarnation on the 1996 debut. ‘Babylon in Ruin’ stands above most here, calling attention to itself with a demanding presence. Meanwhile, ‘Extinction’ and ‘Armageddon,’ who previously saw release on the “March of the Apocalypse” EP, appear here in the same recordings, but in their more complete forms (no fadeouts, better sound). ‘Extinction’ opens with a riff that stops just short of ripping off DARKTHRONE’s ‘Quintessence’ before changing into a surprisingly groove-laden midsection. ‘Armageddon’ is a bit more typical of the direction JUDAS ISCARIOT was going in the late nineties and harnesses that familiar sound we came for. By far the standout track is ‘Black Eternal Winds,’ an absolutely fantastic example of JUDAS ISCARIOT and frankly one of the best in Akhenaten’s discography. A song that would stylistically fit in perfectly with the overlooked “Moonlight Butchery” EP, it’s repetitious but absolutely mesmerizing. Akhenaten’s vocals are tamed, as if telling a story in a calm, almost matter-of-fact rasp. I’m not normally a big fan of fade-outs, but here it’s perfect, with Akhenaten continuing his discourse as it fades, giving the impression that it continues on into eternity. If these tracks were indeed intended to be a full-fledged album, it’s easy to understand that it was shelved for the reasons of direction rather than quality – for the most part, it just didn’t fit with where Akhenaten had taken JUDAS ISCRIOT at this point. But that’s not to say the material isn’t worthwhile; far from it. 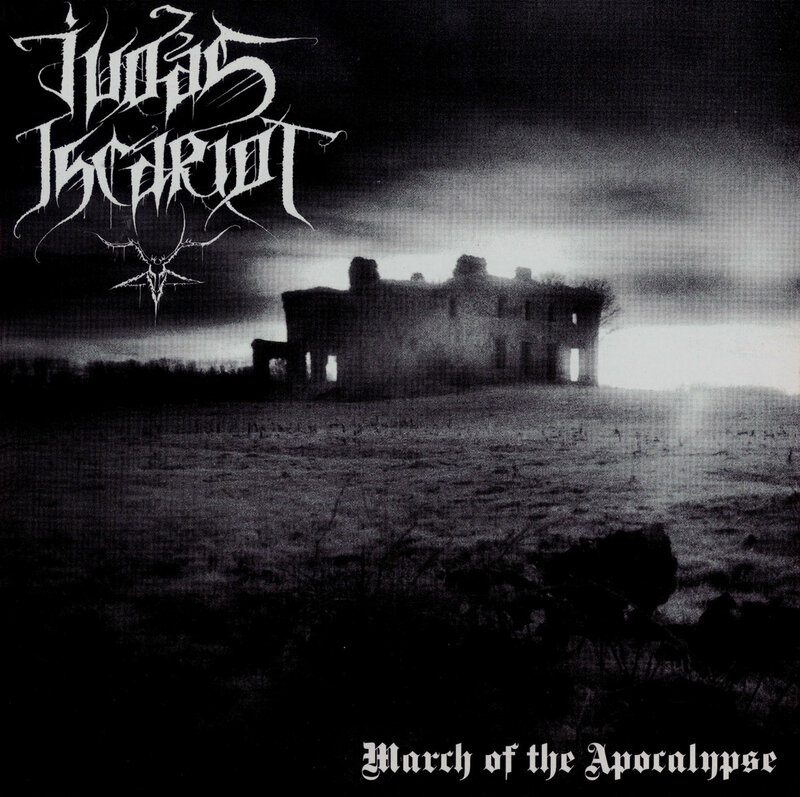 This is still JUDAS ISCARIOT in its prime, and worthy of the attention of black metal aficionados.